Throughout Indonesia, you might find weird, exotic fruits that you’ve probably never seen before – a wide variety and a feast for your eyes and taste buds, with striking and sometimes unusual shapes, sizes, textures, and colors. Some of these fruits may look similar to those that you find in other places across Asia, while some others can only be found here in Indonesia. One of them is Salak or Snake Fruit. Salak (Salacca zalacca) is a species of palm tree (family Arecaceae) native Java and Sumatera in Indonesia. It is a very short-stemmed palm, with leaves up to 6 meters (20ft long); each leaf has a 2-meter long petiole with spines up to 15 centimeters long, and numerous leaflets. The reddish-brown, scaly-skinned fruits grow in clusters at the base of the palm. At a glance, the fruits look weird. When they are still on the plant, they don’t look pleasant at all because the skin is full with spines. But once harvested, they are smooth and tempting. The fruits have pointed top that eases squeezing and is peeled by hand. After revealing the three broken white lobes, you still need to rub off a thin layer of membrane using your fingers before enjoying the fruit. Some people just eat it without removing the membrane first—it has no significant effect to the taste and texture. A little fact you need to know about this membrane: it’s good to prevent constipation! 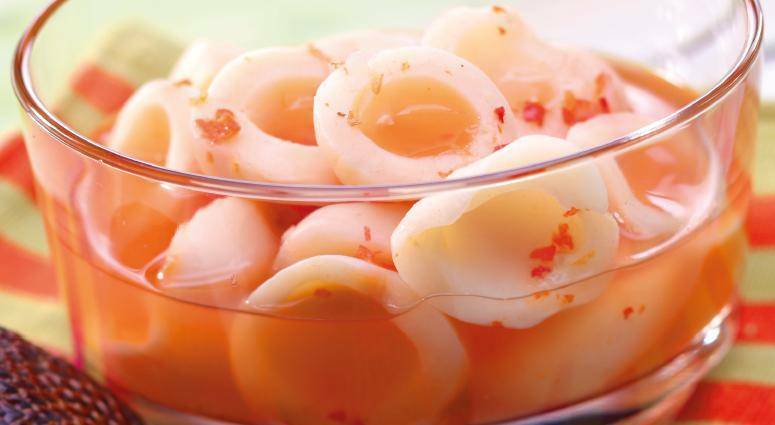 The lobes resemble and have the consistency of large peeled garlic cloves. Each lobe contains a large inedible seed. The flesh tastes sweet and acidic (depending on the types) with a strong astringent edge. 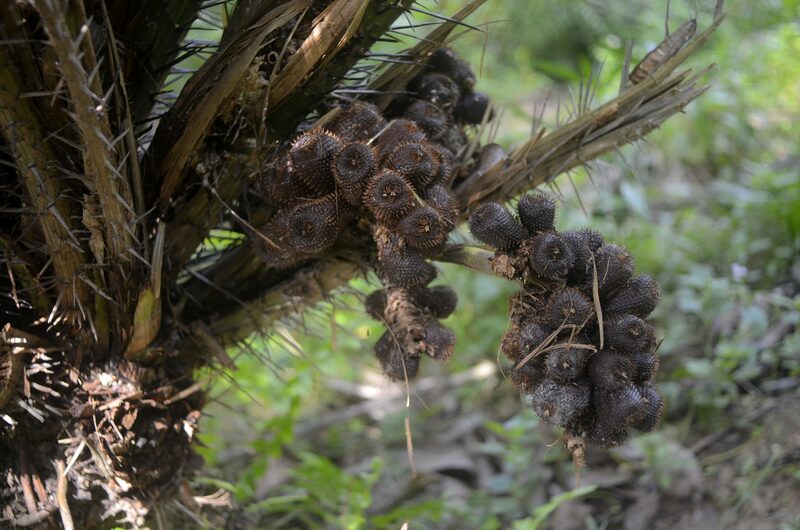 Salak is best tasted when it’s just freshly harvested, as the texture is drier and crunchier. The Salak tree has been cultivated throughout Indonesia, and there are at least 30 cultivars, most of which have an astringent taste and are sweet. Two popular cultivars are Salak Pondoh from Yogyakarta and Salak Bali from Bali. Salak Pondoh is popular among local customers due to its intense aroma and its sweet flavor, even before reaching full maturity. 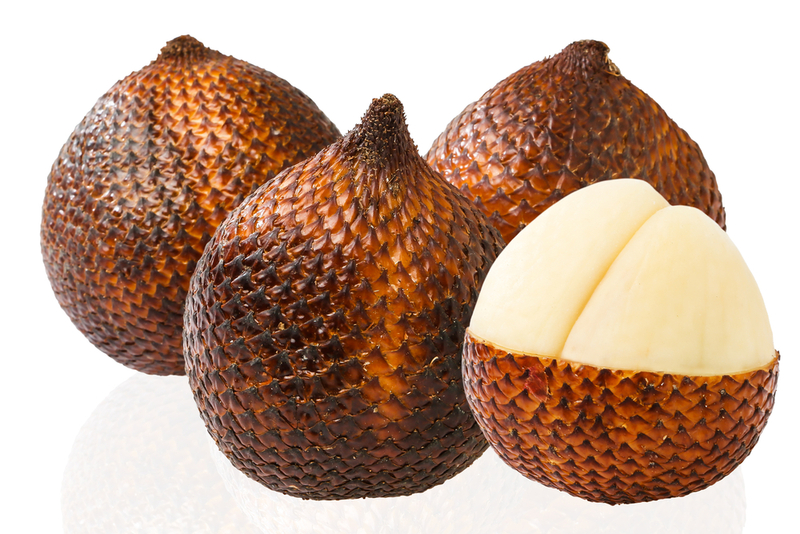 Salak Bali, in the other hand, is roughly the size of a large fig, and has a crunchy and moist consistency. The fruit has a starchy texture, with flavor reminiscent of dilute pineapple and lemon juice. Salak is cheap. You can get 1 kg of Salak (usually packed in small bags) for as cheap as Rp10,000! It is also quite easy to find them at supermarket or fruit shops all year long, but usually peak around May and December. Fully-ripe Salak tastes the best. 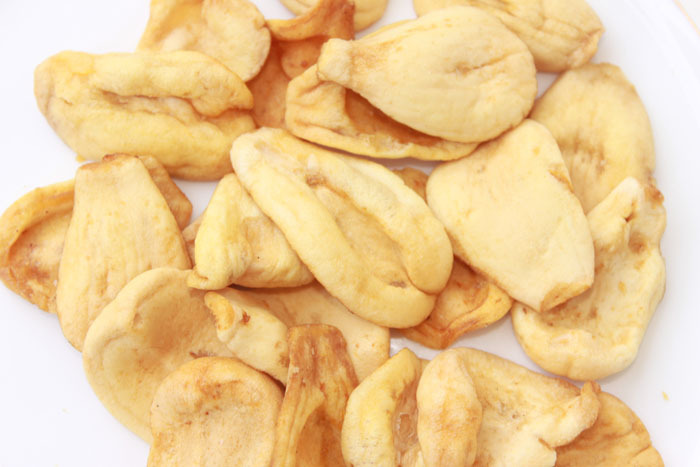 Not only consumed fresh, Salak can be also processed into other delicacies such as Salak chips, pickled Salak (manisan) or made into a spread by adding sugar and other ingredients. They also can be canned or processed into juice.